The two most popular posts I have written on this blog have been about QR codes. I wrote the first post around the time they first came out in 2010. Three years later, the general consensus is that they are useless. Of course, that has not stopped them from appearing everywhere. As a 24-year-old young adult living life, I always feel disappointed when scanning a QR code. If I am sitting a restaurant and see a QR code, I scan it expecting a discount, not a link to their boring website. I always anticipate a QR code helping me in whatever I am doing at the time and am let down time and time again with general content. However, as a marketer, I have seen their success. The demographic I currently market to is truck drivers, therefore, my challenge is the fact that they either a) are never home or b) their home is the truck. As more and more drivers use smartphones, I’ve started testing QR codes with success. The key is placement and content. Our most successful QR codes have been on ¼ size flyers people can pick up and take with them. They also have a promise at the other end, such as a chance to win something or to download our app. The app is especially successful because a smartphone is necessary to scan a QR code as well as download and use the app. It’s a perfect combination. Just like using a mobile marketing tool to market to a mobile demographic. 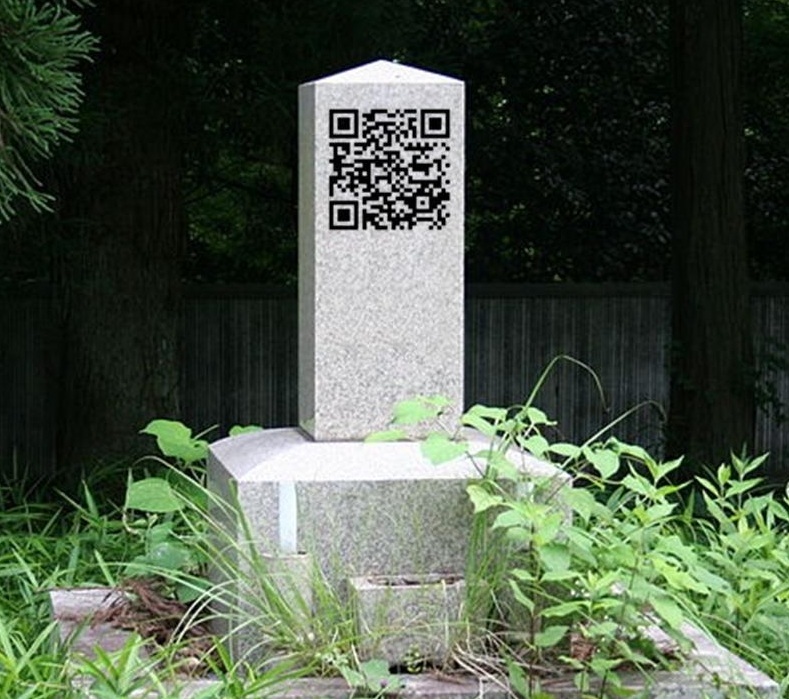 QR codes will die if not used appropriately. Haven’t we been taught as marketers that every successful campaign should have a call to action? Just sticking a QR code on a magazine ad is worthless unless there is an explanation, a chance to win a prize, or something beyond just a link to their website. Reward customers for doing the work to scan your QR code and you will also see a reward. They key is placement, content and the right demographic. What has been you experience with QR codes either as a consumer or marketer? Oh how I love Mashable.com. Yesterday, Mashable published an article titled “10 Funniest QR Code Fails,” a shortened version of the website WFT QR Codes. As both titles suggest, the article and website poke fun of the way people and companies use QR codes. Often, the strategies are not fully thought through. 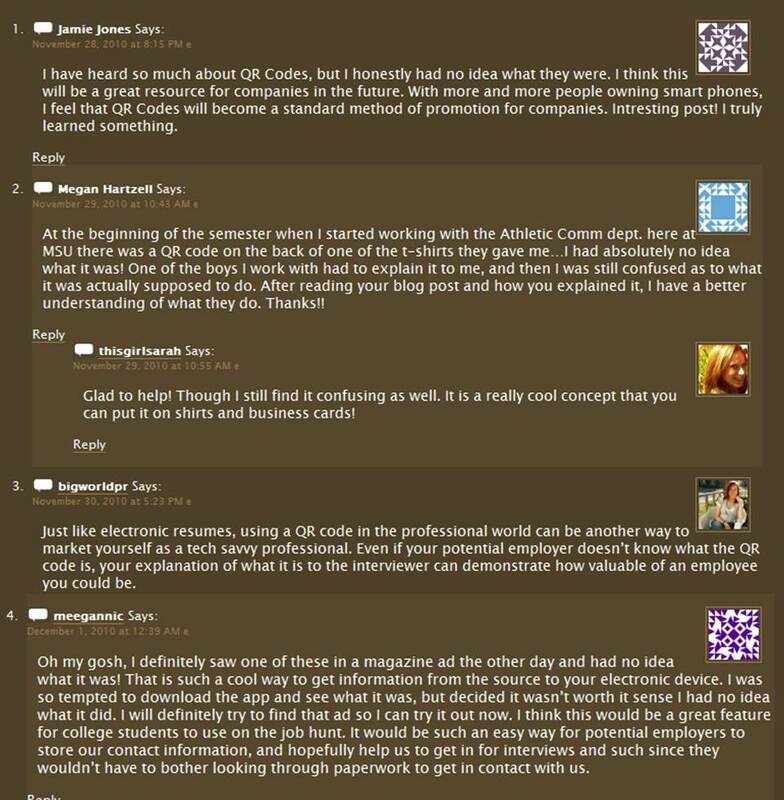 As a class full of seniors, we were obviously fixated on the potential for QR codes helping us get jobs. They are still a great tool for networking and showing your knowledge of technology, but QR codes have become so much more than just a square with your email attached to it, as evidence by the WTF QR Codes website. By the time you realize there is a QR code on the billboard, pull out your phone and open the application that reads QR codes, you have already crashed or driven past the billboard. QR codes have great potential, but there has to be more work for consumers to fully understand how to use them and marketers to use them appropriately. We consumers can cope with the fact that there is not an opportunity to scan a QR code at the dinner table. Relax. Before jumping on the QR code band wagon for a future campaign, think about the strategy, placement and value of your QR code. It’s great to indulge in the newest form of marketing, but it hurts to be included on “10 QR Code Fails”. For more QR code hits and misses, read my earlier blog from Ozarks News Journal and check out Planned Parenthood’s #Wherediduwhereit campaign featuring QR coded condoms!